The Alpha Pacific Group is a team of international professionals, working in Singapore, Australia, Indonesia and Russia. For more than 10 years we have been successfully carrying out investment and start-up projects in key sectors of the of Asia- Pacific economies. ​Our core competence is the ability to actively identify investment opportunities in the most promising regions and industries; allowing our investors and clients to capitalize on the potential of their chosen project. In each target country we make use of our formidable existing network of contacts as well as work in close cooperation with the local authorities; to efficiently navigate and mitigate risks traditionally associated with investing in emerging markets. 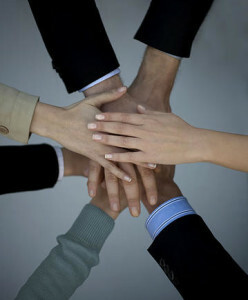 Through efficient sourcing of projects and prudent financial management for their successful implementation, we offer unique opportunities to our partners and investors for realization of their most ambitious goals and objectives in the emerging markets of the Asia-Pacific region. Our international team, working together with our partners from the Asia-Pacific region, brings the necessary expertise and proficiency, allowing us to successfully manage assets and conduct business activities in the region.